This past June 2017 I attended PHAMExpo after party. One of the hosts of the event was NYX Cosmetics. 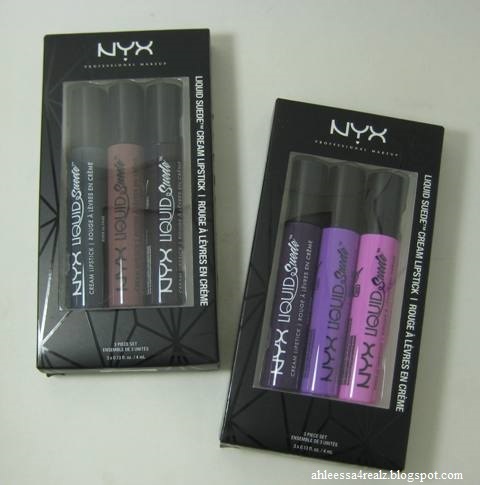 They were kind enough to give people who attended the party NYX Liquid Suede Cream Lipstick Set. From what I can tell, they gave out two different sets. I was fortunate to receive both. I got NYX Liquid Suede Cream Lipstick Set 1 (right) and 2 (left). No matter how much I like one color from each set, the others will not get love. I rather give the whole set than keep them. For that reason, I am having a giveaway for these sets. Before I talk more about the giveaway, you can check out my review on NYX Liquid Suede Cream Lipstick in Soft-Spoken so you have an idea about these products. They're not transfer-proof. They're just creamy matte lip product. Now for the giveaway... Instead of giving away both sets to one winner, there will be two winners. Each winner will get one set. I know that not everyone likes every color in the lip line. For example, I wear a lot of warm neutral colors. I love hot pinks but that isn't something I would be caught wearing. That is the case with most people. For that reason, I will have an option for you to tell me which set you want. I will choose from that. 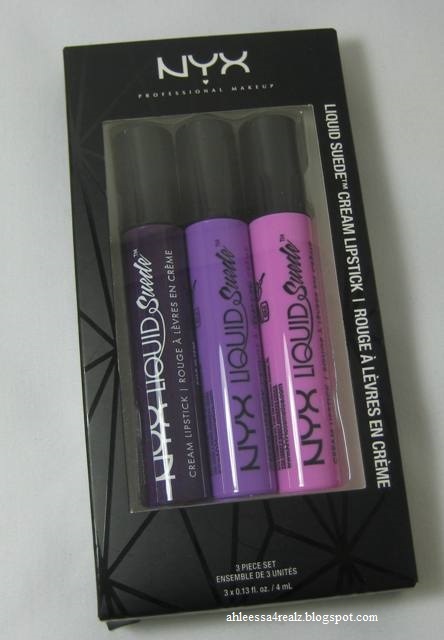 This is NYX Liquid Suede Cream Lipstick Set 01. The colors are Subversive Socialite, Sway, and Respect The Pink. This is brand new in the box. The box isn't open at all. 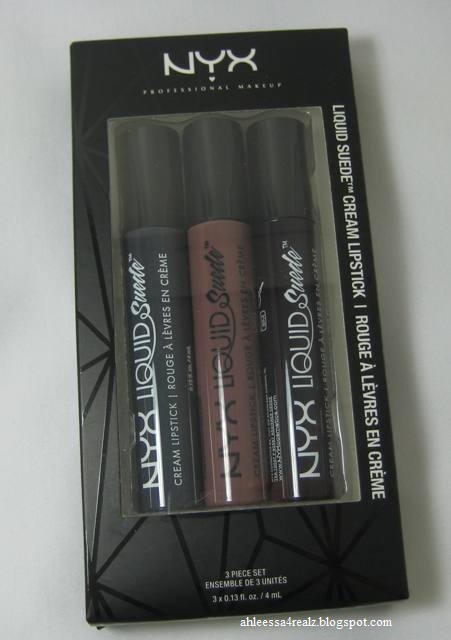 This is NYX Liquid Suede Cream Lipstick Set 02. The colors are Stone Fox, Brooklyn Thorn, and Oh, Put It On. This is brand new in the box. The box isn't open at all. 7. Posting a giveaway on your blog.